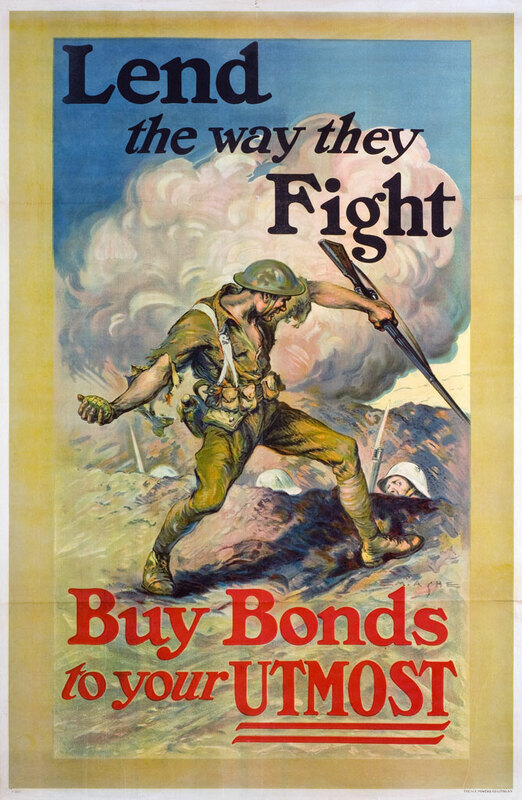 In the weeks following America's declaration of war, voluntary enlistment did not meet the needs of the military and so President Wilson called for a draft. 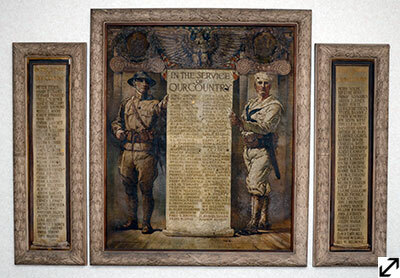 The Selective Service Act of 1917 specified that those men between the ages of 21 and 31 register with local boards. In Greenwich 2,218 men signed up on Conscription Day, June 5. Louise Van Dyke Brown and Granville Brown, 1914 and 1918. 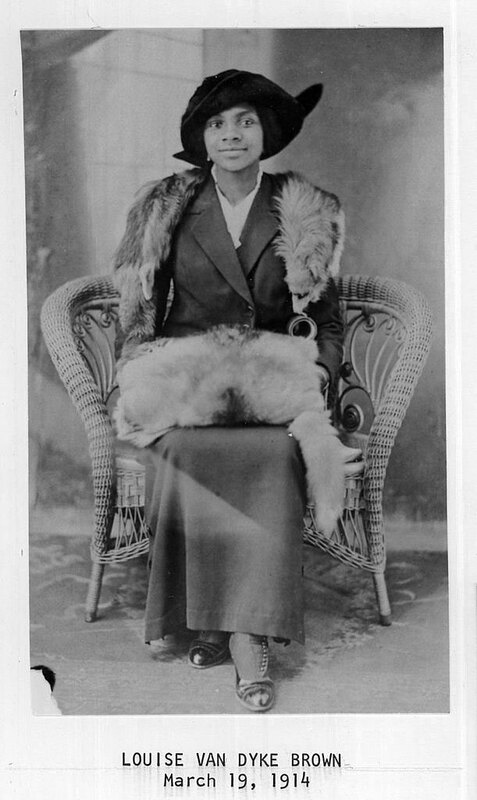 Photographs from the personal collection of Louise Van Dyke Brown. Courtesy of the Greenwich Library Oral History Project. In an oral history conducted in 1978, Louise Van Dyke Brown remembered that two of her brothers enlisted in the Navy and her oldest brother was drafted into the Army. Her future husband, Granville Brown, was in the Army and stationed in Europe. 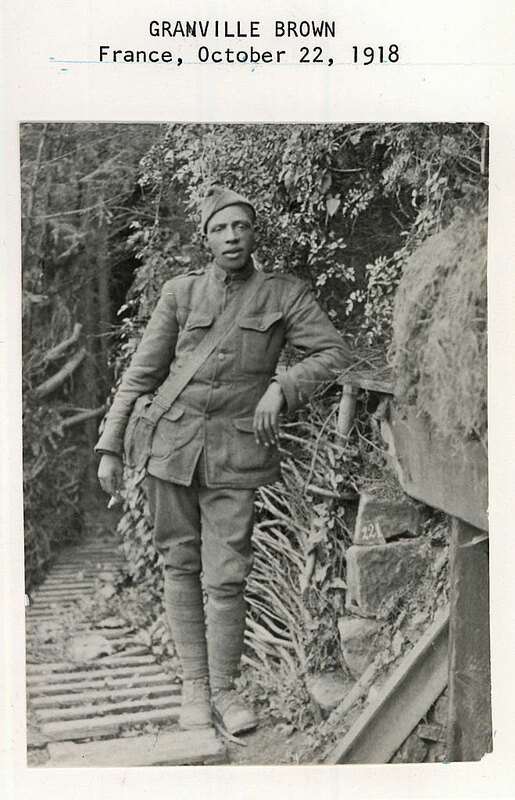 He was a member of the 92nd Infantry Division (Colored). Pietro Buccieri, c. 1915. Courtesy of Pietro Buccieri's family. Not all from Greenwich served in the American Expeditionary Force. 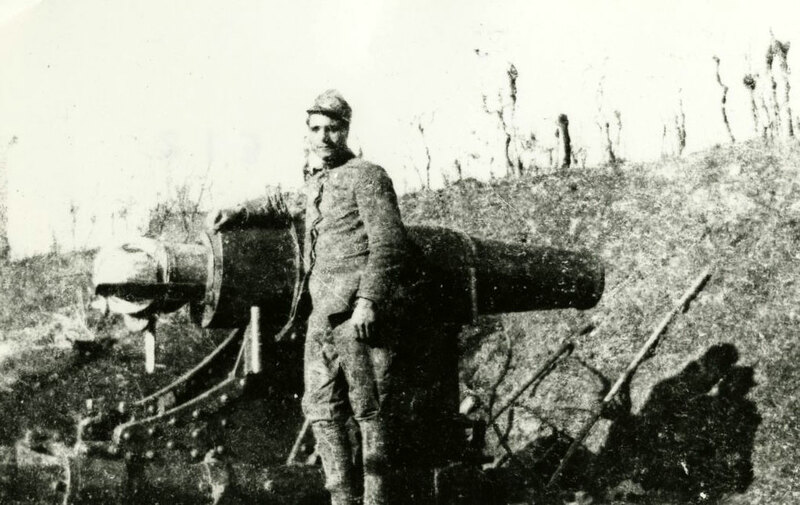 Some men fought for Italy after it joined the Allied Powers in 1915. Mary Mainiero Margenot recalled how men who had come to Greenwich to work as laborers and had lived near her had returned to their homeland to fight. She recalled sadly that many were killed. By the end of World War I, the idea of immigrants possessing strong loyalty to their ethnic origins as well as to the United States was not looked on with favor. Edward M. Ashe (1867-1941). Lend the way they Fight, Buy Bonds to your UTMOST, 1918. Lithograph. Printed by The W.F. Powers Co. Litho. N.Y. Greenwich Historical Society, William E. Finch, Jr. Archives. 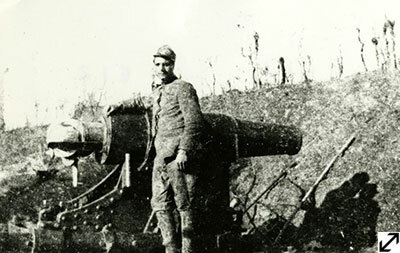 Although by no means a modern strategy, trench warfare dominated the European war zone. Armies on both sides occupied miles of ditches constructed with embankments and topped with barbed wire designed to stop the advance of enemy soldiers. Life in the trenches was marked by claustrophobic conditions, vermin, standing water and long periods of boredom between battles. 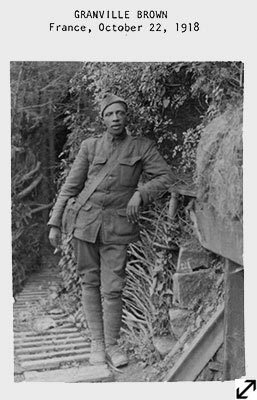 In the Service of Our Country, c. 1918. Photograph of triptych painted by George Wharton Edwards. Town of Greenwich. Bob Capazzo Photography. 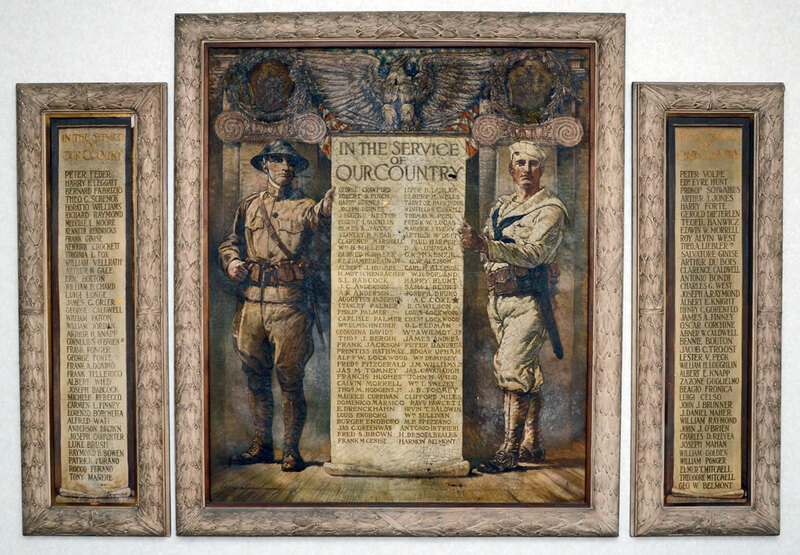 The July 5, 1918, issue of Greenwich News and Graphic reported that the night before this painting “most elaborate and beautiful in design ... was unfurled with appropriate ceremonies at the Cos Cob school auditorium.” The painting, a gift from the artist, shows a soldier and a sailor holding a scroll containing the names of Cos Cob men then in service together with the insignias of the Army and Navy above. The painting currently hangs in Town Hall.